It’s been a very busy couple of weeks for me so I missed out on this last Monday, my apologies! I have also been quiet with proper articles but don’t worry I have three ink reviews ready to be photographed, and a pen review and a notebook review planned so lots to come! UK Fountain Pens: “The great uninking” ✑ Anthony seems to think eighteen inked pens is a lot (and in fact too many); I disagree! I have almost everything inked all the time! The Pelikan’s Perch: “News: Edelstein Garnet Added to the Standard Line-Up” ✑ I’m not a fan of this. Takes away from a collection and makes the ink less special. 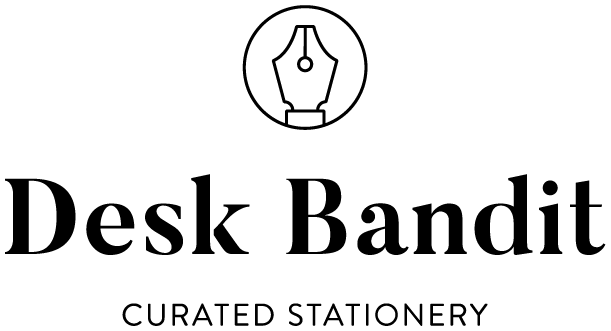 Hand Over That Pen: “2018 San Francisco Pen Show Quick Recap: Pay-It-Forward Table & Pen Dash Mixer” ✑ Franz goes over two interesting events at the 2018 San Fransisco Pen Show. UK Fountain Pens: “2018 London Writing Equipment Show: success!” ✑ Anthony goes over his experience at the London Writing Equipment Show. Fountain Pen Friendly: “Bookbinders Design: A Custom-Made Review” ✑ a review of the Bookbinders Design Cloth Notebook I reviewed this time last year. Mountain of Ink: “Ink Review #466: Robert Oster Carbon Fire” ✑ Kelli briefly covers the new Robert Oster Carbon Fire. Fountain PenArchy: ““That Looks Ugl-Nope, I Love It”- Sailor Rikyu-Cha” ✑ I definitely understand this title! Rikyu-Cha definitely isn’t the prettiest colour on first glance but really grows on you. La Couronne do Comte (10% off with MACCHIATOMAN10) ✒︎ LCdC recently got stock of the beautiful Platinum #3776 Celluloid models and they are stunners! Pen Chalet (10% off with MACCHIATOMAN)✒︎ Always some good sales going on at Pen Chalet including right now with a ver nice price on a Platinum Century Nice Lilas and Lavende. Pen Savings (12% off with MACCHIATOMAN) ✒︎ great international shipping prices and my go-to place for most American brands of inks including Noodler's and Organics Studio.